Research will focus on a novel integration of biological sample preparation and target detection within a single device. 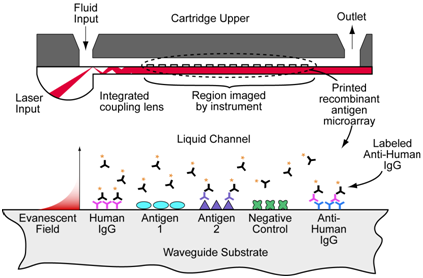 The core research emphasis is on an innovative assay approach that combines direct magnetic particle capture of target nucleic acid sequences and simultaneous labeling for immediate, high sensitivity fluorescence detection on a simple reader instrument. MBio DX is a spin-off of the successful Boulder company Precision Photonics, and the new company's assay system is in fact built on evanescent wave illumination. 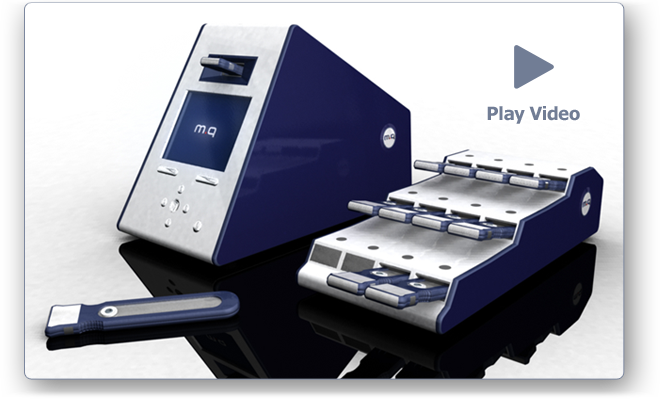 MBio's proprietary LightDeck technology forms the basis of their research, which up to now has focused largely on HIV/AIDS, hepatitis and related disease testing. With this new NIH funding, the company will be able to expand its product pipeline, creating a flexible tool that will be able to detect new biomolecular threats as they arise, from natural epidemics to bioterrorist activity. MBio Diagnostics and Precision Photonics are Boulder companies with ties to the University of Colorado and productive working relationships with researchers at UCSD and the University of Utah. They are also companies led by people who clearly feel strongly about being located geographically in Boulder and not somewhere else. In March we blogged about Boulder's efforts to keep its intellectual capital and the revenue stream generated by its biotechnology companies local, even as those companies grow and/or are purchased by larger companies (read it here). MBio started as a division of Precision. Its recent independence as a company has only required it move to another building in the same business park with Precision, and both are near the University. Both the Precision and MBio websites open with glorious panoramas of the mountain scenery surrounding the city. Their company image is strongly identified with the place itself, making them perfect examples of the kind of businesses the city wants to nurture, retain, and attract as members of its biotech community. We suspect they aren't going anywhere at MBio (physically, at least), though their products are clearly designed with an eye to places in the US and the world that are less robust and inviting. Good for them. Biotechnology Calendar, Inc. is a full service event marketing and planning company producing on-campus, life science research tradeshows nationwide for the past 18 years. We plan and promote each event to bring the best products and services to the best research campuses across the country. Visit our website for information about upcoming shows in your area. Our Boulder BioResearch Product Faire event is held annually in June on the CU campus.